Yesterday, we spent the afternoon and well into the evening at Pier 60, in Manhattan’s Chelsea Piers for the Kosher Food and Wine Experience 2012. 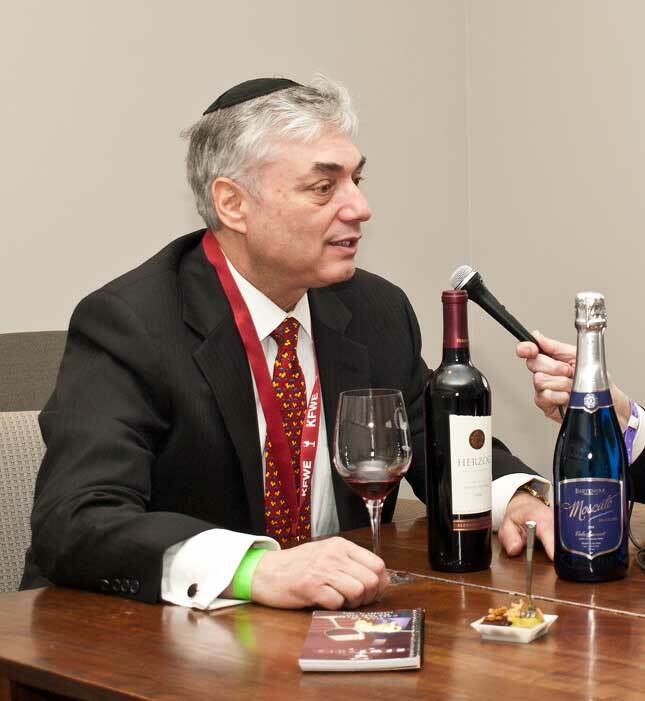 We taped interviews with wine makers, wine executives, restaurants, etc., for tomorrow evening’s two hour show special at BlogTalkRadio.com/kosherscene at 7:30pm (Eastern Time). 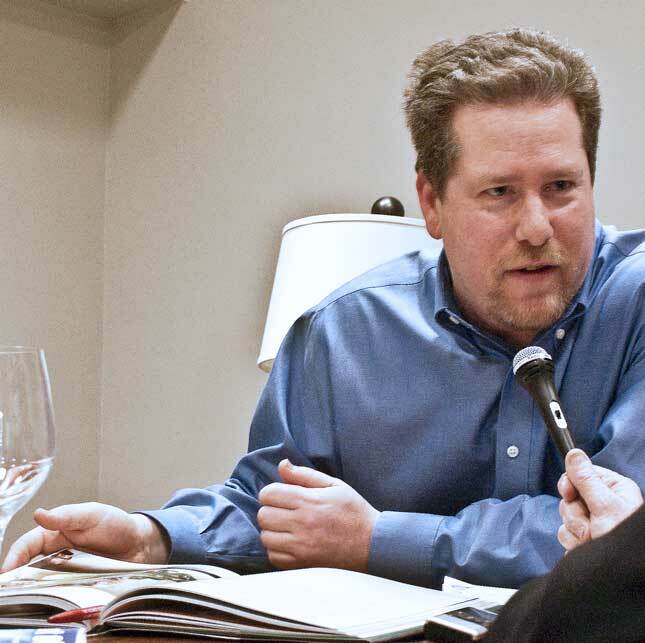 We started by interviewing our long time friend, Jay Buchsbaum (the walking wine encyclopedia I consult on all my wine and spirits’ questions). 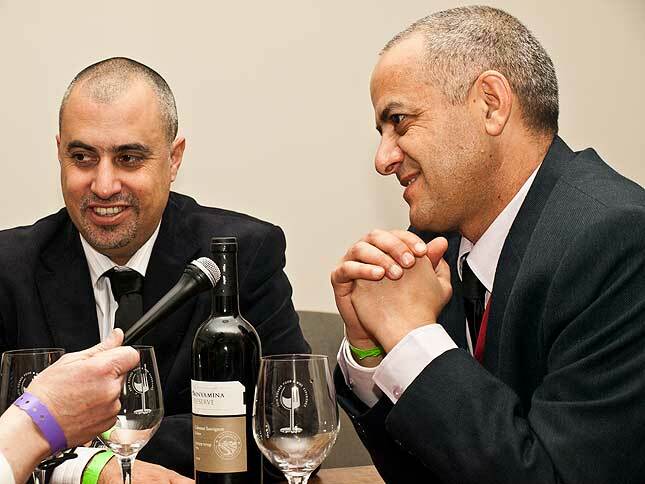 As Vice President of the Royal Wine Corporation, and after a few decades with the company, no one is better qualified than Jay to introduce us to this event. 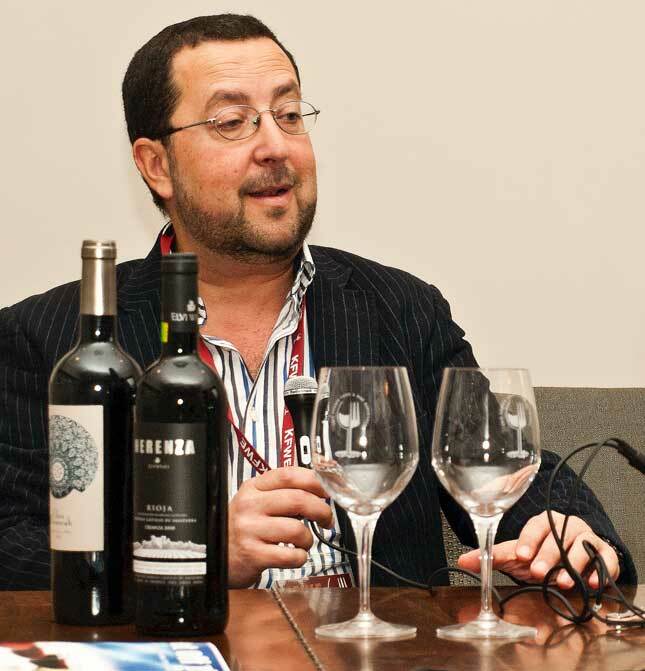 The owner/founder/winemaker of Elvi Wines in Spain, Dr. Moises Cohen came next, not only did he describe his wines, he shared some fascinating vignettes from his life. 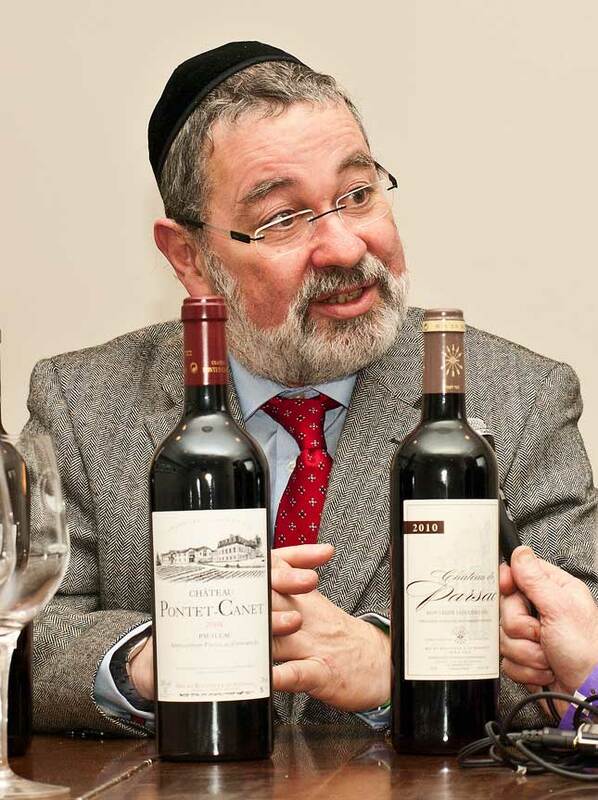 It was interesting to hear how his vineyards helped him discover some aspects of Jewish history, in the region, predating the Spanish Inquisition and the expulsion of the Jews in the 15th century. It also gave some great insights into his passions and personality. 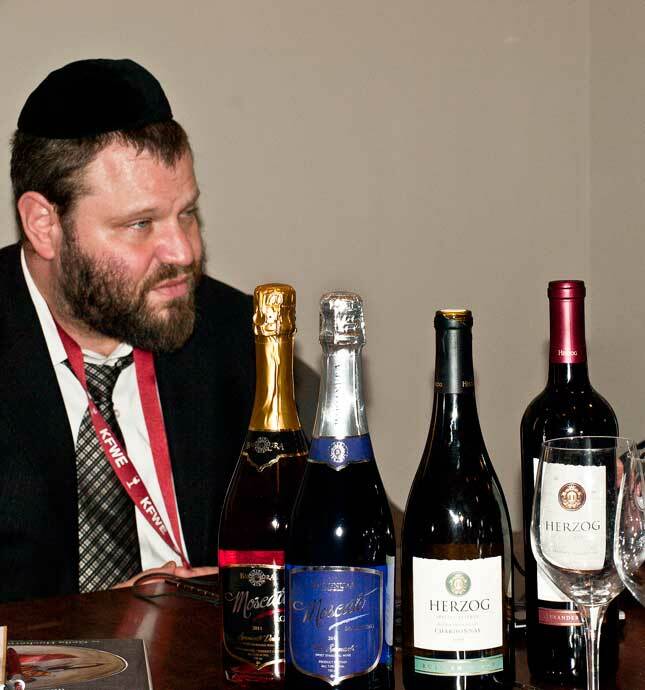 Next, Geila and I spoke to my dear friend Jeff Ingber, a trained Chef who graduated from Johnson and Wales University in Providence, RI – where he still resides – and volunteers as manager for the wine shop at the Providence Hebrew Day School. The wine shop is a fundraising tool to help defray the cost of tuition for frum parents who don’t have the means. 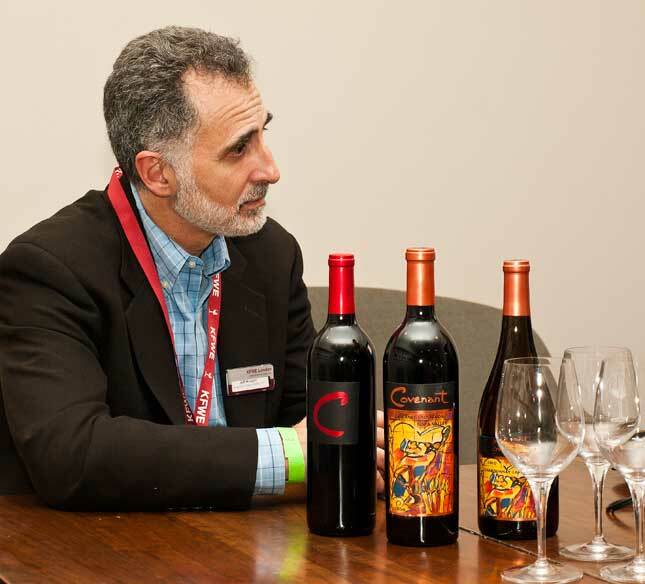 Jeff told us about his favorite wines on the show and how he would pair them with various dishes in Geila’s cookbook. Finally we spoke with the charming, young owner of Guilty Pleasures – Maureen Sussanah. She left a successful real estate career to pursue her dream of creating shapes, colors and incredibly delicious chocolate treats. Please listen in to our upcoming two hour broadcast special, tomorrow evening at 7:30pm to 9:30pm (Eastern Time) on Blogtalkradio.com/kosherscene. We’ll be waiting for you! Meanwhile, in case you missed it, listen to our archived Bitayavon – A Talk with Shifra Klein. Shifra is Editor-in-Chief of Bitayavon, an award winning kosher foodie magazine. 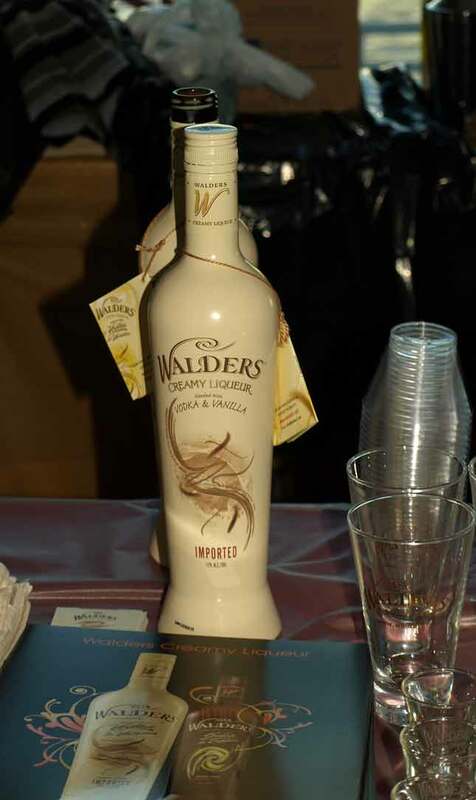 Yesterday we spoke of the food at KFWE, today we will give our views on the superb potables… As we entered the exhibit hall we found Walders Vanilla & Vodka, nestled among the food tables. Alexander Winery Alexander the Great Cabernet Sauvignon 2006 – Alexander’s top of the line composed of 95% Cabernet Sauvignon and 5%Merlot grapes, it has a beautiful dark color with a hint of black. On the nose it shows berries, cherries and tobacco. A full bodied wine, rich and well balanced, a new favorite of mine! SYR found the Baron Herzog Pinot Grigio 2009 delightful. – With a superb balance of acidity, a not so subtle perfume on the nose followed by tropical fruits, it goes perfectly with light pasta dishes. 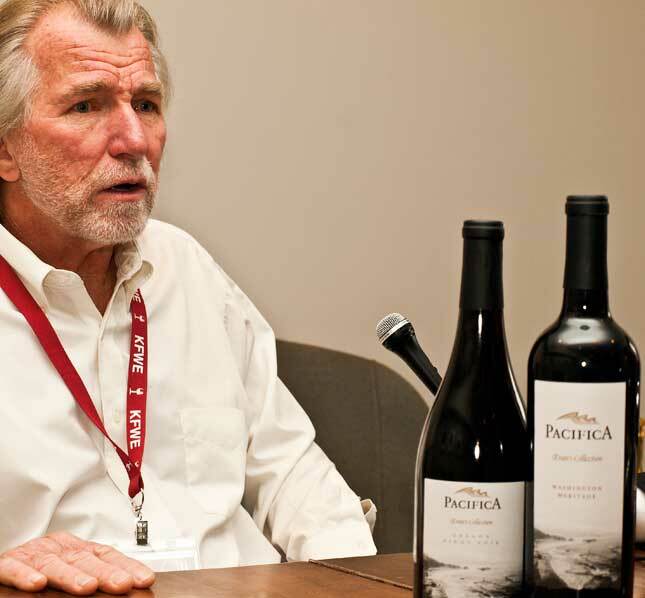 It proves, unequivocally, that a good wine need not be expensive. Stopping by Binyamina‘s table, we tasted The Cave 2006 and 2007… This wine never ceases to amaze me, it’s consistently good. Aged in a 300 year old cave for 24 months it consists of 60% Cabernet Sauvignon and 40% Merlot. A world class wine that just happens to be kosher, the 2007 vintage was a bit more balanced in its taste and a bit more aromatic. 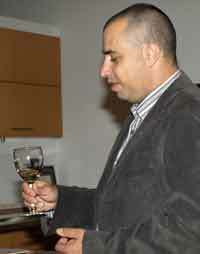 Asaf Paz, one the two winemakers at Binyamina, was there presenting his wines and passionately discussing his craft. When I saw Binyamina‘s fruit liqueurs I just had to have some of their delicious Sour Apple, truly fruit in a bottle! At Selection Bokobsa‘s table we tasted their Chateau Guiraud Sauternes 2001… Woooow!!!! With aromas of lilies, mango, peach, honey and apricot, it is an intense, complex dry wine. We tasted the CAPÇANES Peraj Ha Abib 2008, from Spain. Aged for a year in French oak barrels, from grapes grown on high mountain mineral stony terroir, grapes whose vines yield low amounts of fruit, this is an amazing full bodied wine. There were more great wines we tasted, but the ones above impressed us the most. Let me also mention some of the liquors I liked. As a kid, growing up in Uruguay, I always wondered why the adults kept on referring to “agua ardiente,” burning water… I finally got to taste Aguardiente Antioqueño, from Colombia. Now I understood the oxymoron. The name suddenly made sense and, yes, it was very good!! Another liquor I’ll mention is San Francisco’s Distillery Number 209‘s Gin. Very fruity aroma, superbly tasting! Before leaving I had some Glengoyne 17 Year Old Scotch Whiskey, extremely smooth with a very concentrated palette of incredible flavors!